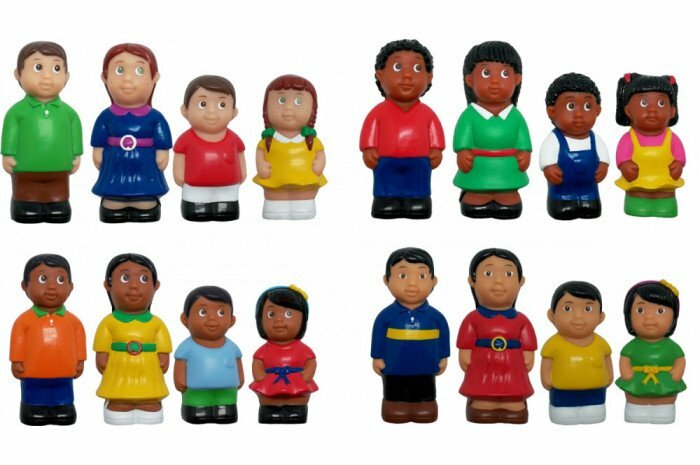 Set of 16 mini people figures for sand tray therapy, dollhouse play, or general play. 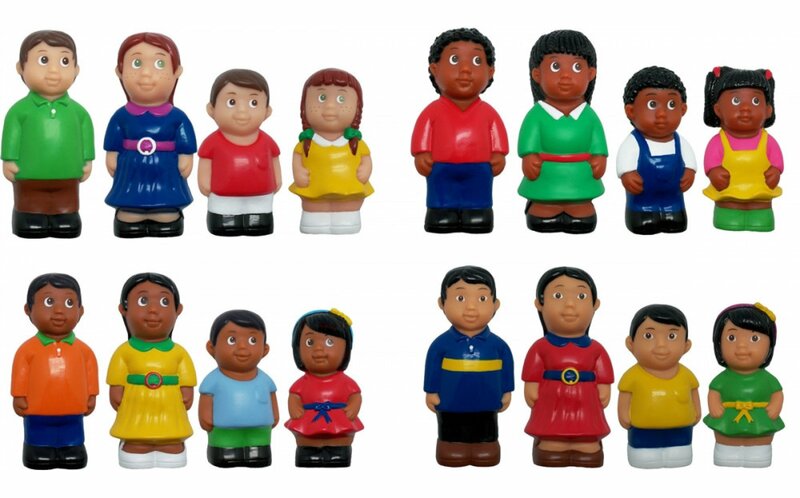 Set includes Hispanic, Asian, African American, and Caucasian family figures. Largest figures are 5" tall.